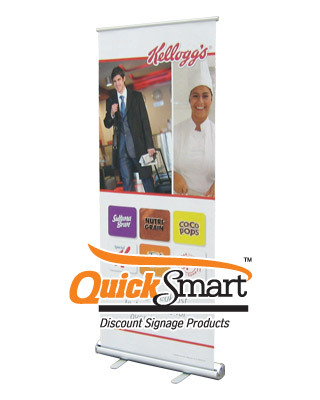 Description: Banner Stands - Includes: High quality full colour print & professionally fitted to the Easy Carry banner stand base, upright pole, adjusters and supplied ready to display. Inc FREE carry bag. The Easy Carry Banner stand is a lightweight banner stand that has fold out legs underneath to stabilise it. The Easy Carry is made to be light, allowing for greater portability and is easy to store away when not in use. The Easy Carry comes ready to go in a carry bag. The print is done in full colour, and is professionally installed to the base. The print is done on an UltraSmooth Banner material.